Messianic Judaism is the most exciting movement of our time. Its rebirth in the 1900s was, in a very real sense, a restoration of something that had been lost for over a thousand years—a functional Jewish body of believers in Jesus that continues to identify with Judaism and with the Jewish people. An ever-growing body of scholarship testifies that the early Jerusalem church likewise maintained a self-identity within Judaism and that the New Testament should be read as a collection of Jewish texts. Introduction to Messianic Judaism is divided into two major parts, each consisting of essays contributed by recognized leaders in their fields. The essays in the first part of the book explore the history and current state of Messianic Judaism. They cover a wide range of Messianic Jewish thought, faith, and practice, including the movement’s attitude toward rabbinic traditions, the role of women in Messianic Judaism, what the average Messianic synagogue is like, and Messianic Judaism’s relationship with broader Judaism and with Christianity. This first series of essays is not unprecedented. Other authors have set out to define the parameters, history, and/or theology of Messianic Judaism; works by David Stern,  Richard Harvey,  Mark Kinzer,  and Dan Cohn-Sherbok,  among others, have admirably filled this niche (and indeed, are cited frequently in the work being reviewed). What stands out about Introduction to Messianic Judaism is its comprehensive introductory-level treatment of Messianic Judaism coupled with the rich diversity of viewpoints contributed by a large number of leading Messianic Jewish thinkers. The scholars represented in this section of Introduction to Messianic Judaism certainly do not agree on every aspect of Messianic Jewish faith and practice, or on every detail of what Messianic Judaism is and should be. And yet, the essays complement one another well, painting a picture of a movement that is, at its core, substantially unified, and which possesses a strong guiding vision for its future. It is evident that these men and women and the organizations they represent have the knowledge, competence, and credibility to speak for Messianic Judaism as a whole and this is reflected in the quality and breadth of their contributions. The second part of Introduction to Messianic Judaism consists of a series of essays by leading scholars in the fields of New Testament studies and Jewish/Christian relations. These essays help the reader to begin to understand the strong Scriptural basis for the existence of Messianic Judaism and for the continuing validity of the Jewish way of life for Jewish believers. Here, as in the first half of the book, a more appropriate set of contributors could hardly have been found. From R. Kendall Soulen, who quite literally wrote the book on supersessionism,  to Richard Bauckham, whose illuminating work on James and the Jerusalem church  must heavily inform any authentic Jewish reading of the book of Acts; every contributor is highly qualified to speak to the area they address in their essay. This second part of the book serves as a primer to the fast-growing world of scholarship which has begun to affirm the New Testament as a primarily Jewish text, to be read as part of the milieu of Second Temple Judaism and not as the product of a break from Judaism. Some of the most pertinent and formative ideas in this realm of scholarship are treated at an introductory level, including the concept of identity formation (key to understanding how early non-Jewish believers saw themselves as part of a characteristically Jewish faith), the very Jewish character of New Testament eschatology, and the continuing validity and authoritative character of the Torah in the New Testament. Though these essays are necessarily short, they (along with their bibliographies) give the interested reader an unparalleled access point to further study. One interested in learning more about the fallacy of supersessionism will find his way to Wyschogrod through Soulen’s essay; one who wants to investigate the relationship between Jews and Gentiles in the early church will be referred to Tucker, Nanos, and Zetterholm in Hardin’s contribution. On the subject of Messianic Judaism, no other publication known to this writer has marshaled such an extensive array of evidence and supporting scholarship in a work that is accessible to a wide audience. As in the first part of the book, these scholars certainly do not agree on everything. Their essays come from very different perspectives. Yet the editors of Introduction to Messianic Judaism are to be commended for the fact that these fourteen essays work together admirably to showcase the strong academic and exegetical foundation upon which Messianic Judaism rests. Many similar volumes in the academic world have suffered from a lack of such editorial oversight and have lost focus at some point during their production, with some essays not clearly contributing to the overall objective of the work; such is not the case with Rudolph and Willitts’ highly focused and engaging compilation. This delineation process is crucial to the future of Messianic Judaism. It will help to mitigate the potential for Christians and Jews to become confused and ultimately turn against Messianic Judaism as a result of its perceived association with organizations that have adopted theologically unsound and often anti-Jewish positions. Second, Introduction to Messianic Judaism provides an important entry point for anyone interested in the Messianic Jewish movement and its ramifications. It fills this niche perhaps better than any work that has come before it, due to its balance between accessibility and breadth, and its copious citations. Furthermore, the book is simply up-to-date and takes into account the most recent scholarship and the changes Messianic Judaism has undergone in the past decade. Only a few years ago it would have been difficult to imagine a project of this magnitude coming to fruition—a book that brings the voices of Messianic Jewish leaders and scholars from Christian backgrounds together to affirm the irrevocable role and calling of Messianic Jews and to show the world what Messianic Judaism is really all about. 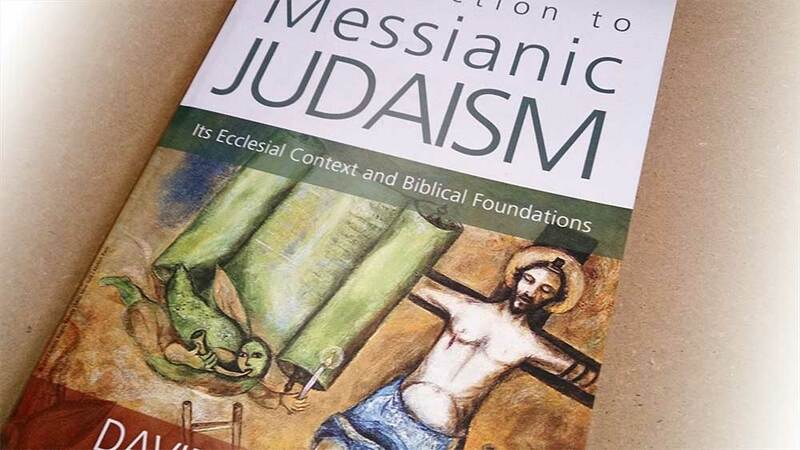 But Rudolph and Willitts have achieved this and more; Introduction to Messianic Judaism is sure to be the benchmark and standard go-to reference for Messianic Jewish studies for years to come. 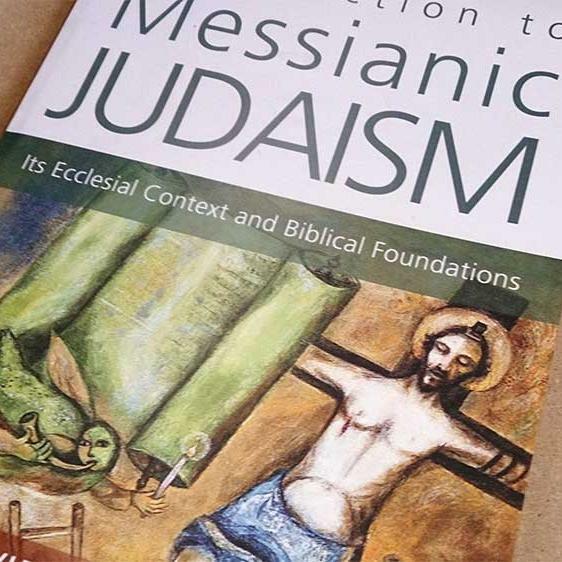 While Introduction to Messianic Judaism surely belongs on the shelf of every Messianic Jew who has even a passing interest in his own movement’s history, theology, and exegetical basis, it is nearly as important to expose Christian pastors and leaders to this book. Because of its readability, its scope, and the credibility of its authors, this book has the potential to serve as an antidote to the strangeness that passes for “Messianic” on the Internet and in some other sources, giving Messianic Judaism the credibility it deserves in the eyes of Christians who may not be sure about the movement’s viability or biblical basis. Furthermore, this book bridges a non-trivial gap between institutional Messianic Judaism and the Gentile Christian church. The fact that contributors from both groups were able to work together to produce a unified work of scholarship may yet presage a broader cooperation between Messianic Jews and mainstream Christians who come to realize the role and importance of Messianic Judaism. If the Christian church can begin to see what God is doing through the Messianic Jewish movement and can come alongside it and support it, a great step will have been taken toward healing the breach that was initially caused when Christians rejected Jews and Judaism (and vice versa) so many centuries ago. Works like Introduction to Messianic Judaism contribute greatly toward making this reconciliation possible. Finally, Introduction to Messianic Judaism bears the imprint of one of the largest Christian publishing houses in the United States, a signal that many Christians are already willing to begin to tackle the important questions and issues raised by Messianic Judaism. This has only been able to happen because what was once an “excluded middle”  is now a recognized, organized movement full of life and potential. Nowhere is this potential illustrated more clearly than in Introduction to Messianic Judaism, which is, thankfully, only the first of what promises to be a number of collaborative works between David Rudolph and Joel Willitts. Rob Vanhoff, “A Review of Boaz Michael’s Tent of David,” 1 [cited 2 February 2013]. Online: http://www.torahresource.com/EnglishArticles/Review-Tent_of_David.pdf. Messiah Journal 109 (2012): 75-78. David H. Stern, Messianic Judaism: A Modern Movement with an Ancient Past (Clarksville: Lederer, 2007). Richard Harvey, Mapping Messianic Jewish Theology: A Constructive Approach (Milton Keynes: Paternoster, 2009). Mark Kinzer, Postmissionary Messianic Judaism (Grand Rapids: Brazos, 2005); Israel’s Messiah and the People of God: A Vision for Messianic Jewish Covenant Fidelity (Eugene: Cascade, 2011). Dan Cohn-Sherbok, Messianic Judaism: A Critical Anthology (New York: Continuum, 2000); Voices of Messianic Judaism: Confronting Critical Issues Facing a Maturing Movement (Baltimore: Lederer, 2001). R. Kendall Soulen, The God of Israel and Christian Theology (Minneapolis: Fortress, 1996). His contributions have been numerous; for one example, see “James and the Jerusalem Community,” in Jewish Believers in Jesus: The Early Centuries (ed. Oskar Skarsaune and Reidar Hvalvik; Peabody: Hendrickson, 2007), 55-95. David Rudolph, “What Denominational Organizations Represent Messianic Jews?” n.p. [cited 2 February 2013]. Online: http://www.messianicjudaism.net/organizations.html.